What are false teeth & dentures made of and how are they made? How long do dentures / false teeth last? Dentures, or false teeth as they are better known, bring to mind for many of us an image of a set of teeth in a glass of water. Or we may think of our grandparents taking them out of their mouth and adjusting them. A slightly uncool image they may have, but dental science has allowed for much better, more natural and less obvious fitting dentures than many of us imagine. In fact with many, you would be hard pushed to tell is someone was indeed wearing a denture. For those missing one or more teeth, they are a vitally important solution. Eating, confidence, health and quality of life can all be improved as a result of having a denture fitted. Many types of denture exist including full and partial, fixed and removable. This article gives you a detailed overview of the things you may wish to know about false teeth; from understanding the different types, the cost, the creation process, to living with them. Dentures fill the gaps created by losing teeth. Filling these gaps may help you eat better, talk better, and feel more confident by improving your appearance. The primary reason behind the need for dentures is to replace one or more missing teeth. What causes that need differs. For some, it might be as a result of trauma or injury that required teeth and mouth tissue to be removed. For others, disease, such as decay or gum disease may have led to the loss of teeth. 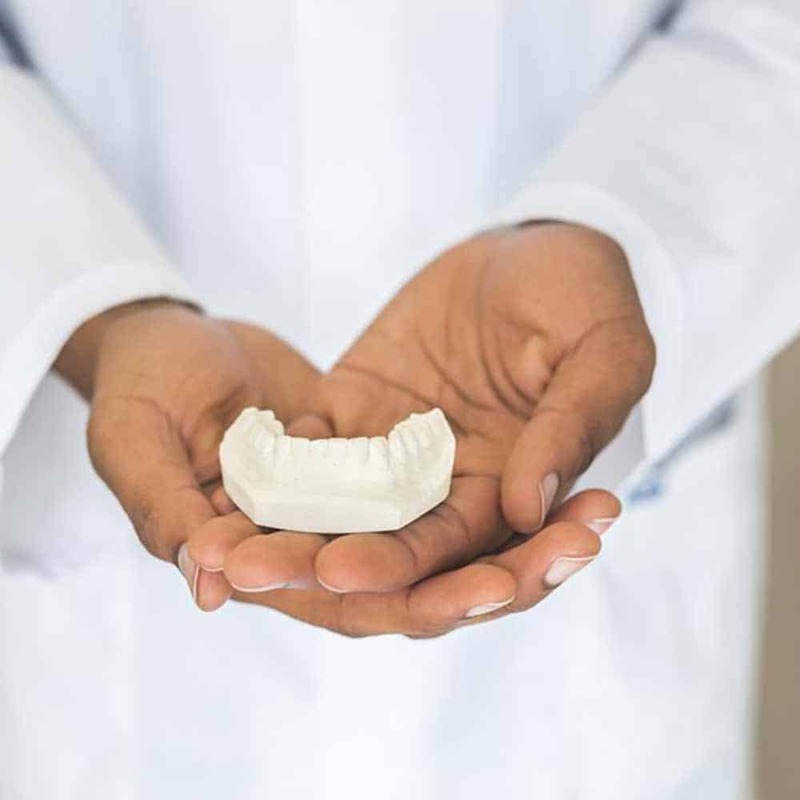 Custom made for each patient, dentures allow those who have suffered tooth loss to restore a sense of normality to the look and feel of their mouth. Having a denture fitted is often more than just a process of giving you the impression of having ‘normal’ teeth. False teeth can have significant beneficial impact. They can help maintain the structure of your cheeks and lips. They allow you to eat properly and feel more confident. There are 2 main types of dentures available. Complete dentures are an option when all of the teeth are missing. Partial dentures are designed to be used when you still have some natural teeth present. In most instances, both complete and partial dentures are designed to be removable. There are options for fixed partial dentures also known as ‘crown and bridge’ or fixed complete dentures known as implant retained dentures. Dentures can be fitted to either the upper or lower jaw, or to both if necessary. A complete denture that replaces a full arch of teeth is designed to fit snugly over the gums and jawbone. The exact process and fitting time for a denture like this will vary depending on your circumstances. If you have to have teeth taken out before the denture is made, in some instances, you will be required to wait several weeks, or even months, to ensure the gums and bone heal before fitting them. This means you have to go without teeth for a period of time. In other instances however, they can be fitted straight after the teeth removal, meaning you will not have to go without any teeth at all. The drawback of immediate fitting is that the gums and jawbone will relatively quickly alter in shape after the removal of teeth. The bone that used to support your teeth can actually take up to 6 months to finish changing shape when you have teeth removed. This will probably mean going back for alterations or possibly a whole new set of dentures to ensure a good fit. Subject to your dental practice and circumstances, you can see either a dentist or a clinical dental technician to get a set of complete dentures fitted. A dentist will take measurements and impressions, also known as moulds of your mouth and then have a dental technician make the dentures for you. If you see a clinical dental technician, they will provide dentures without you having to see your regular dentist. Regular dental checkups are still important irrespective of dentures or not. Whether you see a dentist or a clinical dental technician, two appointments for impressions are needed then a trial denture will be created from impressions taken from your mouth. After trying this within your mouth, assessing the fit and appearance, adjustments will be made until the trial denture is perfect and can be used as a basis for the final denture to be produced. Made from metals, plastics and coloured acrylics in most instances people would not know whether you are wearing dentures or they are your own natural teeth. The ‘gum’ extends far enough away from the teeth that when smiling you or anybody else is unlikely you see the edge. A good fitting, well made denture will be held in place by natural suction. Dentures like regular teeth need cleaning, but you will normally take them out to do this. A dentist will provide instruction on how best to clean your denture, but some useful information is included later in this article. What are the benefits and drawbacks of complete dentures? This is the sort of denture used when one or more teeth are missing, but a number of natural teeth remain. Made from a combination of plastic, nylon or metal plates with false teeth attached, a partial denture is specifically designed to clip or mount to natural teeth via metal clasps. In particular instances, the clips can be made of a tooth or gum coloured material, but the suitability is not as great as they are not as strong as the metal options. Whilst every effort is made to ensure the partial denture is natural and not obvious, it might be possible to see the clips that hold it in place. A dentist or clinical dental technician can measure your mouth by taking moulds and order a partial denture to be created. This is a custom creation for your mouth. So advanced are the designs, that a partial denture can replace teeth even if there are on other sides of the mouth. Essentially you can have one denture per jaw, rather than a denture per missing tooth. A partial denture can be easily removed and replaced. Just like the remaining natural teeth, the denture needs cleaning regularly. A benefit of a partial denture is that is can normally be cleaned like your regular teeth with less need to actually remove it, but you will want to fairly regularly. You should take care with it as it can be broken. ‘Flipper’ is another term used to describe certain partial dentures. It is usually used in reference to a denture that replaces 2 or 3 teeth in the front of the upper jaw. Possible alternatives to a removable partial denture includes a fixed partial denture, also known as a crown and bridge. This is a more permanent procedure and is not removable. It involves a dentist fitting crowns on teeth either side of the gap for strength and then the false teeth (the bridge) closes the gap. The bridge is joined to the crowns. What are the benefits and drawbacks of partial dentures? As the name implies immediate dentures are those that can be made and offered to a patient very quickly. They are made in advance and fitted straight after a tooth extraction. You can get a full set of immediate dentures or partial ones. You have to be a good candidate for this type of denture and it will certainly not be suitable for all. Immediate dentures allow patients to go about daily life without a gap in their teeth or having no teeth at all. These immediate dentures can be a permanent or a temporary solution. In a temporary situation they offer a solution whilst the gum and jaw heal and the permanent false tooth/denture is being made. This may be particularly important if a front tooth is to be removed. As they are fitted before the gums and bone has healed, they can require minor or even major adjustment throughout to ensure they fit properly during the healing process. You will need to consult with your dentist as to whether or not immediate dentures are an option and the procedure involved. Individual circumstances and cost will all come into play here. What are the benefits and drawbacks of immediate dentures? For those who require a partial denture to replace a few teeth, then flexible dentures may well be a an alternative option for you. With so many benefits these seem like the best option to go for. However sadly one of the major drawbacks is that they are not available on the NHS due to associated cost. The other drawback is that they are not available as a complete set. Flexible dentures are made from a thermoplastic nylon resin that is very thin and flexible in comparison to the acrylic used traditionally in dentures. This means they feel less bulky in your mouth. A flexible denture uses existing healthy and natural teeth as well as the gumline as anchor points to keep the denture in place. Whilst being more expensive they are not as costly as dental implants. Essentially another type of denture, implant retained dentures (which we have written about it more detail here) are a more premium version of complete dentures and are really designed to overcome or reduce some of the problems associated with traditional complete dentures. Where normal complete dentures rely on a good fit and suction to hold the teeth in place, implant retained dentures work on the basis of having a physical connection between the jawbone and the denture. A titanium metal implant is placed into your jawbone. Typically you need 4-6 for a set of implant retained dentures. These implants act as artificial roots and fuse to the jawbone. 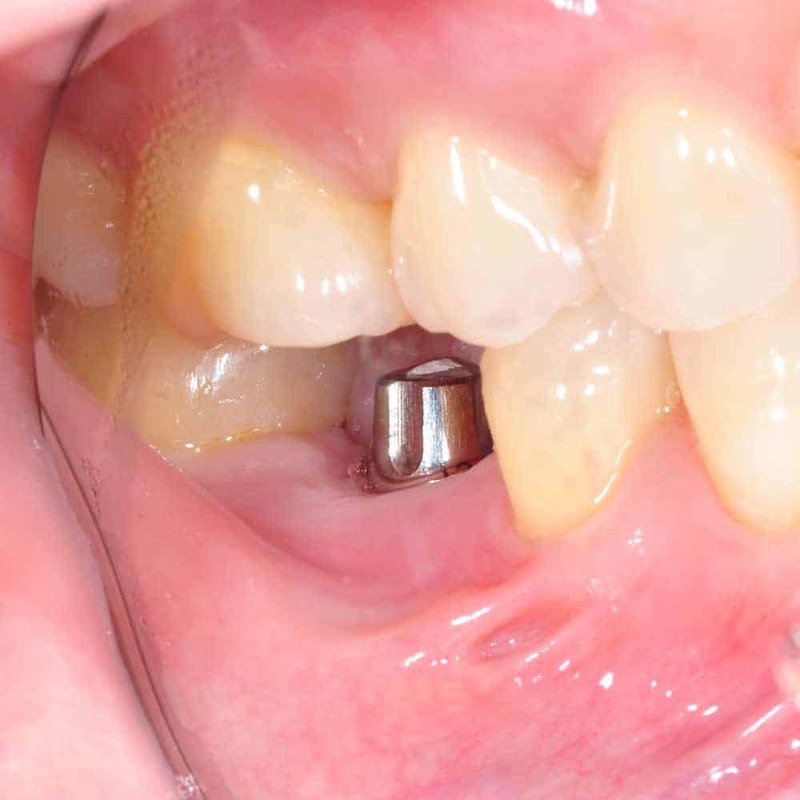 The denture then attaches to these implants via a ball or bar setup for a secure fit. Some refer to such a setup as ‘snap-on/in’ dentures (not to be confused with snap-on veneers). Ball-retained dentures, also known as stud-attachment dentures, are held in place by ball-shaped metal parts that attach directly to implants in the jaw. When the balls are aligned with corresponding sockets on the denture, they connect to keep it secure. It is a little like a popper you may have on a piece of clothing. Ball or bar retained, they are aesthetically pleasing and will included a gum coloured base made from acrylic. The base holds the teeth custom-made to fit your mouth. These dentures can be designed to be removed only by yourself, or to be removed only by a dentist. Implant retained dentures give extra confidence as the physical attachment they have makes them much more stable and stronger. This in turn allows normal eating and chewing. A more natural looking fit is achieved as achieved, thanks to the smaller profile of the denture and they are more comfortable as a result and there is too no chance of them coming loose at inconvenient times. The physical attachment does away with some of the discomfort and friction felt with the gums compared to regular dentures and there is a higher likelihood of being able to better taste your food as the implant approach ensures more of the palate remains exposed. The following video gives an explanation and visual representation of how implant dentures work. What are the benefits and drawbacks of implant retained dentures? An alternative to the removable partial denture is a fixed partial denture, better known as a crown and bridge. The bridge are the false teeth that replace one or more missing teeth, within the mouth. In many instances, a crown is attached either side of the bridge, and these crowns fit over existing teeth to act as an anchor point for the bridge to be fitted to. It is a more expensive process but one that is more stable as it cannot be removed by the you, only a dentist. Unlike a removable partial denture, crowns and bridges can only treat one gap at a time. For example, imagine you had a tooth missing either side of your top jaw. With a fixed denture treatment, you would need 2, 1 either side. With a removable partial denture you need only 1 to address the gap on either side of the jaw. 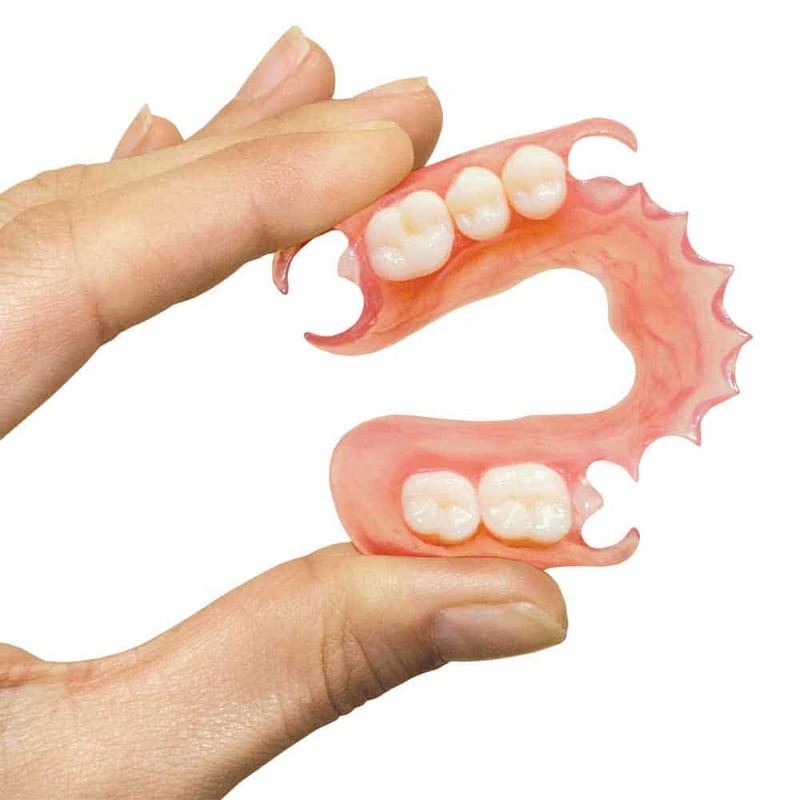 What are the benefits and drawbacks of partial dentures (bridge)? Need to drill in to remaining natural teeth. Conventional complete and partial dentures can be removed by the wearer as can immediate dentures. In some instances the implant retained dentures can too. The removable nature of them can mean that it is possible for them to slip out of place and become loose at inconvenient times (does not apply to implant retained dentures), but a good fitting denture will normally remain in place. Adhesives can be used to help keep them in place, but the the removable design does allow for the denture to be properly cleaned as well as giving time for relief to the gums and mouth. If you were alive in 700BC and were wealthy you could get a denture. Using a tooth from another human or that of an animal, gold bands and pins secured them into the mouth of those requiring such. Most ‘normal’ people would have gone without and just had a tooth extraction. In 16th century Japan bees was was used to create an impression of the patient’s mouth. Skilled craftsmen would then carve out a full set of wooden dentures based on that model. Ivory had become popular in the 1700s, made from materials including elephant and walrus. These had a tendency to stain, gave off a bad smell and were uncomfortable to wear. Famously, after the Battle of Waterloo in the 1800s, human teeth were commonly taken from soldiers who died in battle and allowed for a more natural option. US President George Washington was one of the most famous early denture wearers. Having gone through several sets of false teeth, those worn during his presidency were made from hippopotamus ivory held together with gold springs. The natural materials would deteriorate quickly, but they were easy to produce and remained popular up until the 1800s. In the 1840’s and 50’s, the Goodyear family developed vulcanite, a hardened rubber which made for a cheaper and ideal base for dentures, rather than the gold used previously. Able to be moulded and then hardened into shape dentures made from such were able to provide a good fit. Its believed a set of ivory dentures cost 25 guineas, a years salary for a housemaid, but vulcanite brought this cost down to just 6, making false teeth available to the middle class, not just the rich. As demand and production increased it eventually allowed for the price to drop and become an affordable option for the masses. In 1951 with the introduction of the NHS, dentures were made available to all. Demand was so great charges were introduced. Modern advances has meant that acrylics and plastics are the major component in dentures today. Acrylic resin, metal, porcelain and ceramics are common materials used in the construction of dentures. The manufacturing process and material used will depend on the type of denture being created. In most instances, full or complete dentures are made from acrylic in a pink gum colour. Sometimes a metal plate is used for extra strength and reducing the chances of cracks or damage to the denture. The use of the metal plate is most typical when it is the upper arch of teeth that are being replaced and where the lower arch has existing natural teeth. The force of the lower natural teeth can crack the acrylic unless it is strengthened with the metal. The metal dentures can be made thinner than the acrylic dentures and so are more comfortable to wear. They are also fitted precisely to the soft tissues in your mouth. Metal dentures are significantly more expensive than plastic ones because of the skills and materials required to make them, and so are not routinely offered on the NHS. Your dentist will discuss the options with you based on your circumstances. 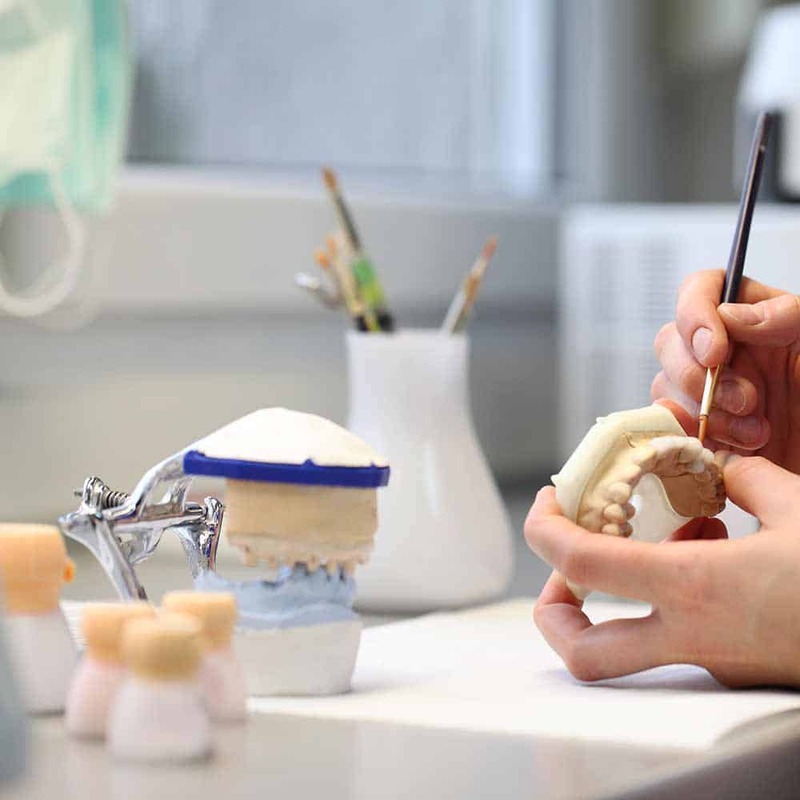 Manufacturing a denture is a skilled and multi-stage process that requires a number of moulds and refinements to be made in order to ensure that the dentures fit the patient’s mouth as best as it can, but also look correct too. Dentists have to advise the lab on things the correct size of teeth required to ensure the dentures look as natural as they can do when fitting in the mouth. The following video provides an interesting insight into the production process. The simple answer is that it depends on you and your circumstance. Cost will be influenced by whether you need a partial or complete denture, whether you want a fixed or removable option, the materials used, and what other treatment you may need to have before fitting the denture. A simple rule is, the more teeth that need replacing, the more it will cost. Cost is also impacted by whether or not you are using state funded services like the NHS in the UK, whether you go private or have dental insurance. Creating a denture is not a simple process. You can’t just mass produce them and take a denture off the shelf as and when it is required. As this article has hopefully outlined, there are many steps and time involved. However, the following should give you a ‘rough’ idea of the costs involved. What’s the cost of dentures on the NHS? Producing a denture falls within the highest treatment band for NHS dental charges, Band 3. For some this may be expensive, particularly if you need just 1 tooth replaced, but it represents excellent value if you need a full set of dentures. This cost includes any treatment that is necessary as part of having the denture fitted. So, should you need a couple of teeth removed, several appointments for fitting/consultation then you will pay just the one Band 3 fee. This charge is applicable each time you require dentures. Typically a set of dentures will last about 5 years. Depending on the dental practice you may have to pay this in full prior to treatment, in stages or after treatment. You will not pay more than this and will not be charged for individual items or procedures associated. With dentures provided on the NHS, you will be limited in the choice. Of course they will work as described and give you most of the benefits outlined earlier, but options like implant supported dentures and flexible dentures will only be available to you as a private patient. 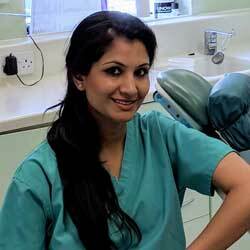 If you want the best dentures money can buy then consider private treatment. One of the biggest benefits of getting dentures from a private dental practice is the choice you have. Able to source from a variety of suppliers, the cost of dentures can vary significantly from a few hundred pounds to many thousands. There is a choice to fit every budget. You can choose from the basic but functional to the most technologically advanced that are more comfortable, better fitting and look more natural. Whilst there are potentially diminishing levels of returns once you get to a certain price point, the more you pay the better the dentures will likely last and they may too have greater longevity. Partial dentures under private treatment can cost from about £200. A complete denture typically costs nearer to £1000, although should you choose you could still pay more. Where applicable you can opt for the flexible denture that will fit more comfortably in the mouth and look even more natural. Under private treatment you will have the option of implant supported dentures that will last 10 or more years. A more complex, but potentially more rewarding procedure, costs begin at around £4000 but can cost £14,000 for a full jaw. A private practice will explain the options you have for you to make an informed purchasing decision. There is no one simple method for saving money when it comes to buying dentures. As has already been said the cost varies depending on individual needs. You could consider a dental insurance plan that includes dentures. Subject to the monthly and annual premium of the plan, there are often limits around the amount that can be claimed for denture costs, if dentures are covered in the plan at all. Some companies and dental practices offer special dental plans that allow you to receive discounts on treatments for paying a monthly fee. This can be useful if you know you will need complex and expensive dental work. Many practices, particularly private practices will offer payment plans to help spread the cost. Whether interest is charged will depend on the plan provider. Ideally you want a 0% interest plan. Another consideration is to travel overseas to countries where the cost of professional treatments like this are a lot lower. Often known as health tourism, India, Turkey, Poland, Costa Rica and Mexico are all options. However, there are risks attached to this and you should complete detailed research before taking such trips. In many circumstances thousands can be saved on the most complex dental treatments. The length of time taken does depend on what work is required. On average, it will take 1-2 months and 4 or 5 dental appointments, but your dentist will be able to give a more accurate answer to this as they will have assessed your mouth and the requirements you have. Having determined what type of denture is best suited to you, your dentist will take a series of impressions and measurements that will be used to make the denture. Particularly important is the process of determining what is known as your ‘bite’. This is how the jaws come together and the space between them. A model or pattern is formed from this work the dentist does. You will normally then try this on. Creating a denture is a bit of an art form and requires small tweaks to be made until our dentist is happy with the fit. Once the dentist is satisfied that the model is correct, your final denture will be made. In many cases a natural healing process is required which can mean the process takes longer than you might like but is vitally important for your continued health and well being, and to ensure that the dentures fit better for longer. Over time you may need to see your dentist to have the denture realigned to ensure a continued good fit and no discomfort. An average set of dentures will last anywhere from 5-10 years. The cost and quality will have a bearing on how long they last, but your actual mouth will too. The artificial teeth suffer wear and tear from daily use and are susceptible to being broken if dropped or too much force is applied to them. As the body changes over the years as does the jawbone and this has a knock on effect to how well dentures fit. Dentists can often make some slight adjustments, but is a denture is becoming loose it may require a replacements. As a result you should expect to have to replace your dentures every 5-10 years. Depending on your financial position you might not want to invest in the ‘very best’ dentures if you have to pay for them again. Whilst a denture is a very popular solution to missing teeth in the mouth, it is not the only option. The primary alternative is dental implants. Your eligibility will depend on your mouth and the number of teeth that need replacing. Dental implants are similar to implant retained dentures, in that an artificial root is created by screwing in a titanium fitting into the jawbone and attaching an artificial tooth to this. Implants can be used as supports for bridges too. Generally more expensive to complete but implants will feel more secure and more like real teeth. You won’t need to take them out to clean them like a denture. Not everyone is a suitable candidate though. If you are in the position of needing teeth replaced, speak to your dentist about the options and they can discuss all of these with you and what options you have based on your circumstances. National Smile Month figures indicate that in the UK, some 6% of adults have no natural teeth, whilst 74% have had a tooth extracted. That is a sizeable number of people who need or may require false teeth, in fact 15 million people in the UK wear full or partial dentures. However, a survey found that 69% of denture wearers said that dentures made them feel, look or behave differently. Thankfully advances in dental technology false teeth are not as impractical and uncomfortable as many think. You want to be happy living with them, so pay attention to some of the information below to ensure you are confident when wearing them. My dentures slip and come loose, this is normal isn’t it? There are many different factors that can affect how well your dentures fit. For most people, new dentures should fit well and with a bit of practice will stay in place without moving. Over time, the bone changes shape and so it is normal that dentures become loose over the years. Unfortunately a small number of people may not get good fitting dentures because they do not have enough bone to hold dentures in place very well. It is worth seeing your dentist if your dentures are loose as they may be able to recommend some changes to your current denture to help them stay in place better. Custom fit as most dentures are, comfort is generally very good and for most. It is quite normal to initially feel uneasy or awkward when wearing dentures. It takes time to get used to them. Your muscles will learn to help keep them in place. You may well be fearful that they will slip or move, or even fall out. You may have in the first few weeks some irritation and soreness to contend with. Your dentist will provide advice and tips on getting started with your dentures, but time for healing and practice in removing and fitting them will lead to greater confidence and all being well a less awkward feeling. The following video from Fixodent may provide some useful tips. If you never get comfortable with them or they become less comfortable over time, speak to your dentist. Will dentures change how and what I can eat? On the whole you will be able to eat and drink as you would with regular teeth, but there will be times where you need to be a little bit more considerate of what it is you eat. General advice includes starting off with soft foods and eating small pieces of food for the first few weeks. Avoiding hard, sticky or chewy foods is helpful too. Even when you are a bit more confident food like caramel and chewing gum are best avoided. The way in which dentures are designed aim not to alter your physical appearance and really will as best as possible look like you would had you a natural set of teeth. Some will inevitably look or fit better than others, subject to the amount spent on them. For some, the dentures may even improve your smile by filling out the facial appearance. There will be a little bit of a learning curve and practice involved in saying some words. The fitting of the dentures affects how your tongue and air moves and you may need to spend some time becoming accustomed to how to speak with your dentures in. Practice by saying the words out loud to a friend, family member or to yourself. The more practice you get the more confident you will feel. Don’t fret, you wont need to re-learn how to speak. Should you get a click when talking or the dentures slip when you laugh, cough, or smile, re-position the dentures by gently biting down and swallowing. If any speaking problem persists, consult your dentist. Should I wear dentures at night? Typically, dentists do not recommend that you wear your dentures at night. In the first few weeks your dentist may advise wearing them at night whilst sleeping as this is one of the most effective ways to determine whether the denture needs adjustment. 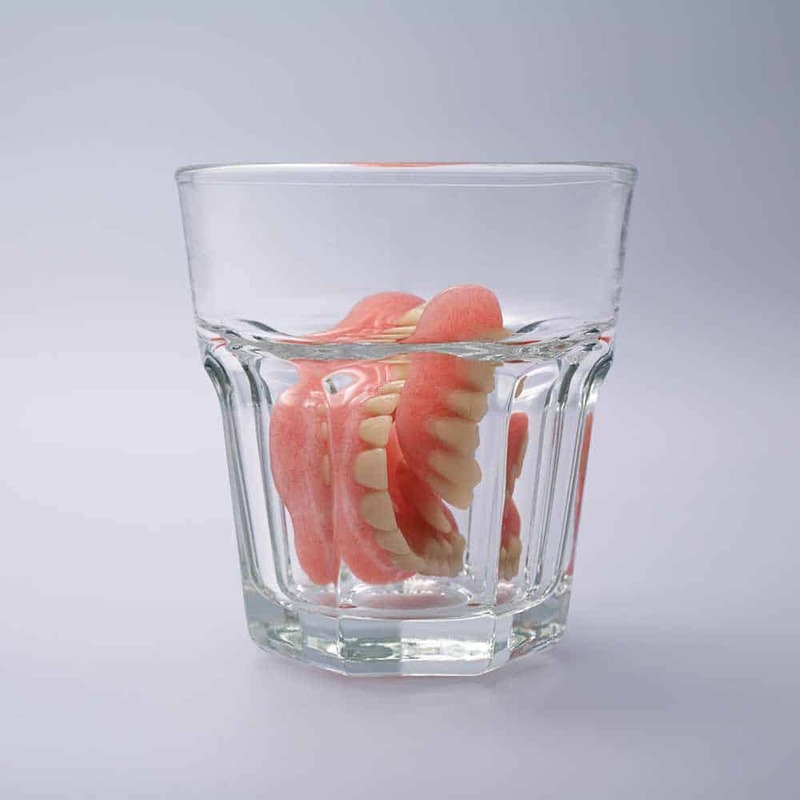 The stereotypical image of false teeth in a glass of water is as a result of taking them out at night. By doing so you can allow your gums to rest a little and prevent possible fungal infections in your mouth. But the denture needs to be kept moist, as you do not want the material to dry out and change shape. Putting dentures in a glass of water is one method, in a polythene bag with damp cotton wool is another as is leaving them in a denture cleaning solution. As the shape of your bone and gums change over the years there is a need for your denture to be adapted. A process known as reline deals with this very issue. It is particularly important if you have had extractions within the last 3-12 months. Normal dental checkups will generally assess fit, but every 5-10 years a reline will be required as dentures become loose or ill fitting. By the 10 year time frame a new denture will likely be required as it will have worn and require replacement. That’s not true. Your dentist will perform many checks such as an oral cancer scan on your dental visit. So it is important to have you checkup even if you don’t have teeth! Whether you have a partial or full set of dentures, you should still go for regular dental checkups. Just because you might have none of your own teeth does not mean you don’t need to see a dentist. Speak to your dentist or practice to find out what is required in your particular circumstances, but normally at least once a year you should have a checkup as your dentist will be looking at various health issues related to the mouth. For full sets of dentures, they will be assessing the fit, how well you are cleaning them, how much life the dentures have in them and how the jaw and mouth tissue are faring as a result of daily wear. Despite not being ‘real’ the false teeth still require regular (daily) cleaning and maintenance. It is important to remove all the plaque and bacteria that builds up on the denture along with any dental adhesive that may have been used. Plaque and tartar builds up on false teeth just like it does on natural teeth. 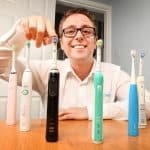 Alarmingly, the Oral Health Foundation has found no consistency in the recommendations for cleaning and maintenance. 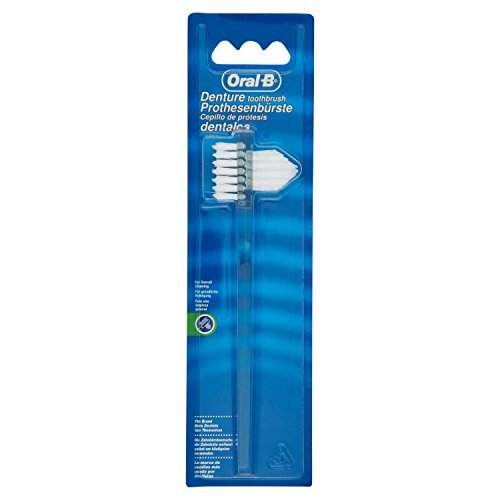 Daily cleaning of the dentures using mechanical action – brushing with a toothbrush or denture brush and an effective, non-abrasive denture cleanser (no dentifrice (toothpaste)). Denture wearers should not keep their dentures in the mouth overnight, unless there are specific reasons for keeping them in. This guideline is even more important for people at a higher risk of developing stomatitis (a type of fungal infection) and for frail or institutionalised older people. Soaking in a denture cleanser solution after mechanical cleaning seems to be beneficial for preventing denture stomatitis and the potential risk of pneumonia events in these groups of people. The exact technique may vary depending on whether you have a partial or complete denture and what your denture is made of. When you first get your denture, your dentist will show you the correct technique for cleaning it. If they don’t ask to be shown. Failing to clean it regularly and correctly increases your chances of gum disease, bad breath, fungal infections and other associated conditions due to the bacteria that will stick to it. In the first few weeks of having a denture you may be expected to wear it at night, but eventually you will take it out as this allows the gums, jaw and saliva to recover from the daily wear. It is this act of removing at night that the stereotypical image of teeth in a glass of water comes from. Dentures normally need to be kept moist to retain their shape and a glass of water is perfect for this. However, this water could be replaced by a cleaning solution. 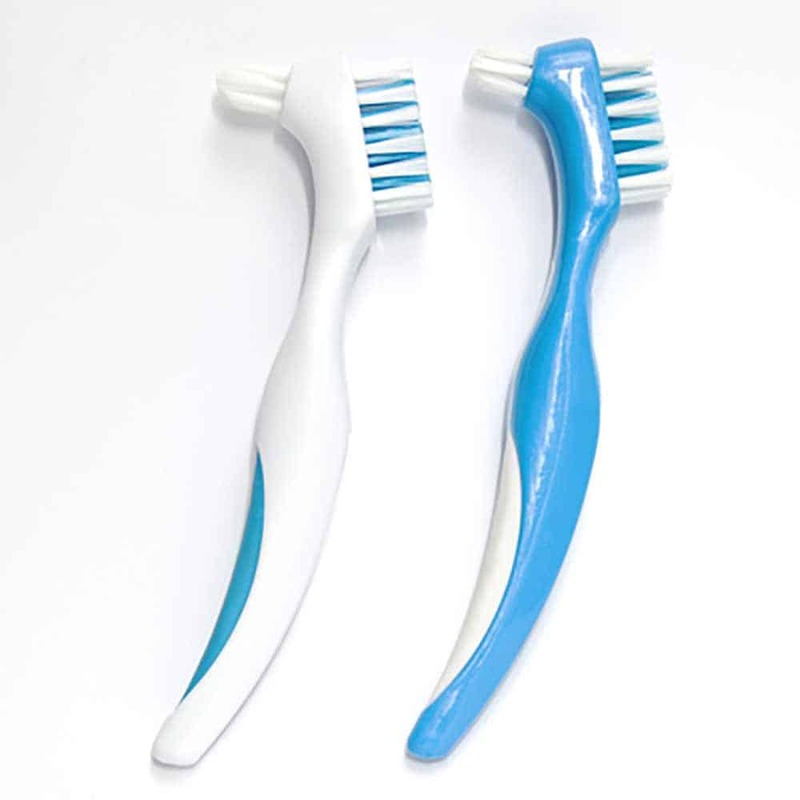 There are specialist denture brushes you can buy, they have different length and formed bristles to help reach into all the areas of the dentures surface. Regular toothpaste is not advised as it is abrasive and can scratch the surface of your denture teeth, so that they lose their shine. Specialist denture toothpaste can be used. Consult you dentist for the best option for your denture. 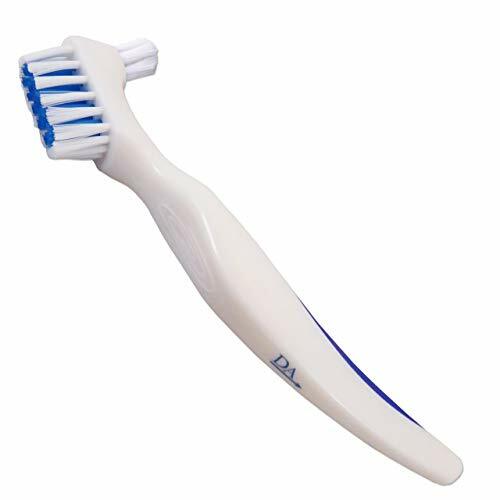 Avoid using a stiff brush and do not use hot water as this can damage the denture. Another necessary task is to soak the denture in a cleaning solution. 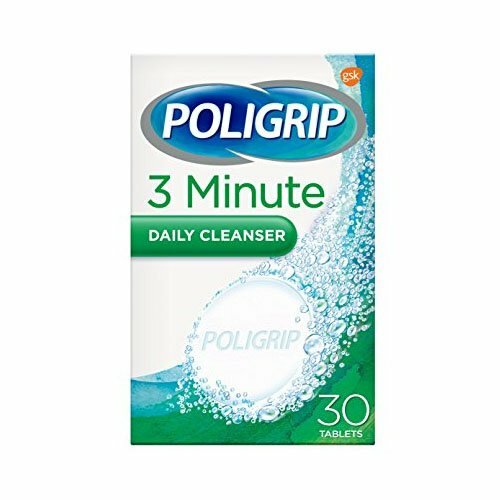 Studies have found this to be one of the most effective ways to control dental plaque in addition to brushing the denture clean and stopping unnecessary deterioration of the denture itself. And this choice from Boots is also a good option. If you have natural teeth, you must still brush these twice a day and daily too. The following video demonstrates how you can clean your dentures correctly. Correctly fitted dentures do not require adhesives to remain in place. If you have undergone tooth removal or are new to wearing dentures the gums and bone can change shape causing the denture to become loose and not fit as snugly as it once did. In most instances if the denture is loose you should consult your dentist who can make amendments or may even advise having a new set made, subject to your circumstances. 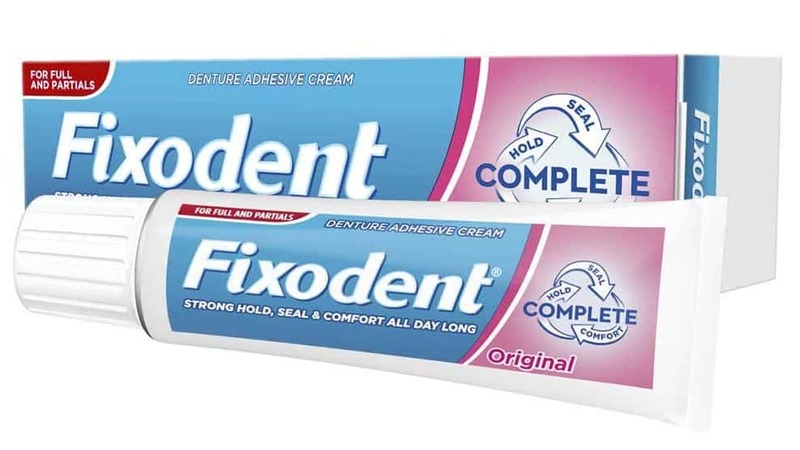 Whilst they can be used, adhesives are not recommended as a long term solution, but can give an extra level of confidence to new denture wearers or assist with those dentures that are not fitting as well as they once did. There are a few exceptions such as medical conditions like dry mouth that can impact the ability to the denture to stay adhered to the gum and therefore an adhesive can be useful. Available in paste and powder form, both have benefits, but powders can be easier to clean off dentures and allow for a closer contact between the mouth tissue and the denture itself. If you choose to use adhesives, follow the manufacturers recommendations on how much to use and how to apply. Use the paste as and when is needed to achieve the desired effect. Use the minimum amount necessary to provide the best benefit. Apply a minimum amount and if more is required do so in accordance with following manufacturer instructions. 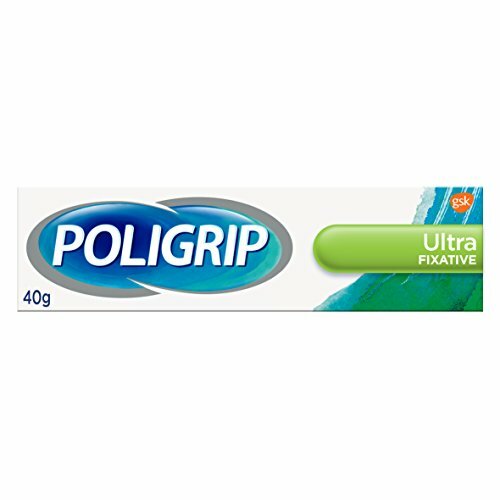 Apply evenly on the tissue contacting surface of the denture. Understand adhesives work best with a well fitting denture. Remove all adhesive at the end of every day. False teeth are a fantastic solution for those missing one or more teeth. Modern advances in dental technology allows for anyone to get a denture at a price that works for them. Allowing you to look and feel better and really boost your confidence, a denture is more than just a false set of teeth to some. As artificial as they are, they still require care and you still need a regular checkup. They can become loose as your jaw changes over time. Replacements are normally required every 5 to 10 years, so this is why some opt for alternative treatments like implants. Speak to your dental professional about what the right solution is for you. Yes, for the most part they are. If they have been correctly shaped and fitted you should get used to them and they should feel fine to wear on a day to day basis with no discomfort. However, over time the gum and jawbone can change shape and the fit of the denture can become worse, therefore making them more uncomfortable to actually wear. If the denture becomes uncomfortable, see the dentist to find out whether alterations can be made or whether a new denture is required. Dentures like the natural teeth can become stained over time. Whilst they are more resilient due to the materials used it is not uncommon to see them discolour slightly. They can be whitened, just like our teeth can, but typically the best way to whiten them is with a good clean. As dentures can be removed, they are easier to clean. Give them a good brush with clean water and a toothbrush, some even chose to use a nail brush. 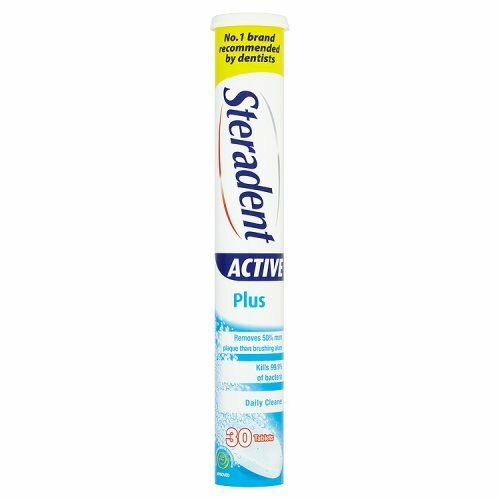 Steradent cleaner or Steradent pro white tablets are popular choices along with Stain-Away, which all claim to brighten and whiten the denture. Some suggest over the counter whitening products and even household bleach can make the denture look whiter, but it is best to check with your dentist before trying such as doing this could damage the denture too. A trip to the dentist is worthwhile as they can use their specialist cleaning tools (including an ultrasonic cleaner) to thoroughly clean the denture and in just a few minutes remove stains, plaque buildup and restore the denture to its former brighter and cleaner state. Whilst some attempt to do this at home, it is best to go to the dentist who has all the tools and importantly skill to make adjustments to the denture. Depending on the severity of the adjustment needed will depend on whether or not it is possible. Slight rubbing and discomfort when wearing a denture can usually quickly and easily be adjusted to give back the comfortable fit. In many cases though, where the denture is a good few years old, a whole new denture may well be required if the jaw bone has changed shape or shrunk. For the ultimate choice and best options going private will be the better option. However, going private comes at a cost. At the time of writing a denture on the NHS is £244.30 (England), whereas privately it can cost around £1000 on average. You will need to weight up the affordability of dentures and how important the choice of materials and fitting is to you. If you are in your early 30’s and need a denture, you may have a different view to an 80 year old living in a care home. Anyone, of any age has the choice, but NHS dentures are functional and look ok, but they are made to a budget. I have just had a partial lower denture fitted. Replacing 3 teeth on one side and 2 on the other. They are connected by gum that runs at the base of my front teeth. They don’t fit. When my dentist tried to get them in for the first time, they wouldn’t go in. She had to keep shaving gum off. Even when in they felt wrong. One side fit well, but the other side doesn’t fit at all. The gum doesn’t fit the contours of my mouth, and there is a gap. My dentist won’t do anything about it. I’m used to wearing full upper dentures so I know about bedding them in, but these new ones can’t be bedded in as they simply don’t fit my mouth. When I try to eat, the good side stays in place but immediately, the bad side lifts up, and I have to press it down with my finger. I’m devestated because my dentist has refused to do anything and says I have to put up with it. What on earth can I do? Whilst I only have the information you have given to go by, this sounds extremely poor service by your dentist. It sounds like they can tell, not only from what you say that it does not fit very well. I would have expected your dentist to take action to resolve this matter for you. My suggestion would be to speak to your dentist/practice and ask them to take a look and rectify the situation. Politely explain the fit is not how you would have expected it to be etc and ask for them to provide a better solution/fix. If they are unwilling to, I suggest seeking independent advice. You may first want to visit another dentist to get another professional opinion and then you may want to speak to a lawyer to get an idea of where you stand legally in getting the dentist/practice to solve the problem for you. I was given false hope by a dentist who said he was going to have his students at the royal college of density fit upper and lower dental implants but I was just being played and I now have no confidence in any dental clinics as I have had two sets of dentures made since 2015 and I have never been able to eat with them and my remaining teeth are so loose I was able to pull the front lower ones out. 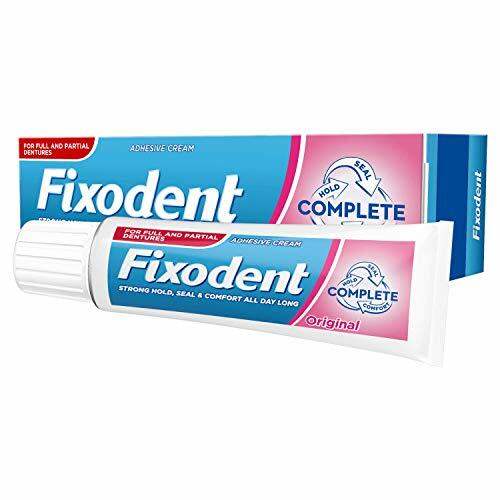 I can’t keep dentures in with any kind of fixodent and I have lost all confidence and only go out if it is dark and I feel I can’t keep on this way. Do you know if I am able to be given fixed dentures? Very sorry to hear about your circumstances. The vast majority of dentists are there to help and would not let you feel this way or have such a poor experience. It is not possible for me to make detailed comment without knowing more history and an actual examination being done. However, it would be very rare for someone not to be suitable for fixed dentures. It is concerning that you are able to pull teeth out and this should be addressed as soon as possible. 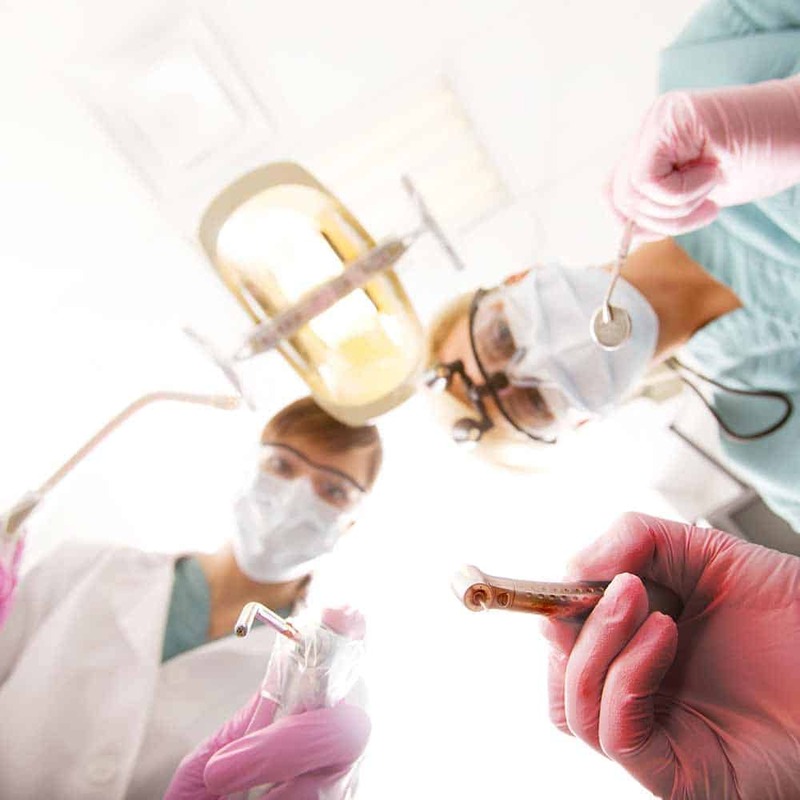 The best thing to do is find a trustworthy dentist near to you who can help, potentially one who is trained in dealing with nervous patients, as I am sure you now are based on your experience. Which part of the country are you located in? It is possible to have spare/replacement dentures made to fit to the implants that you have. However, we are not a surgery/dental practice ourselves, nor do we make dentures. 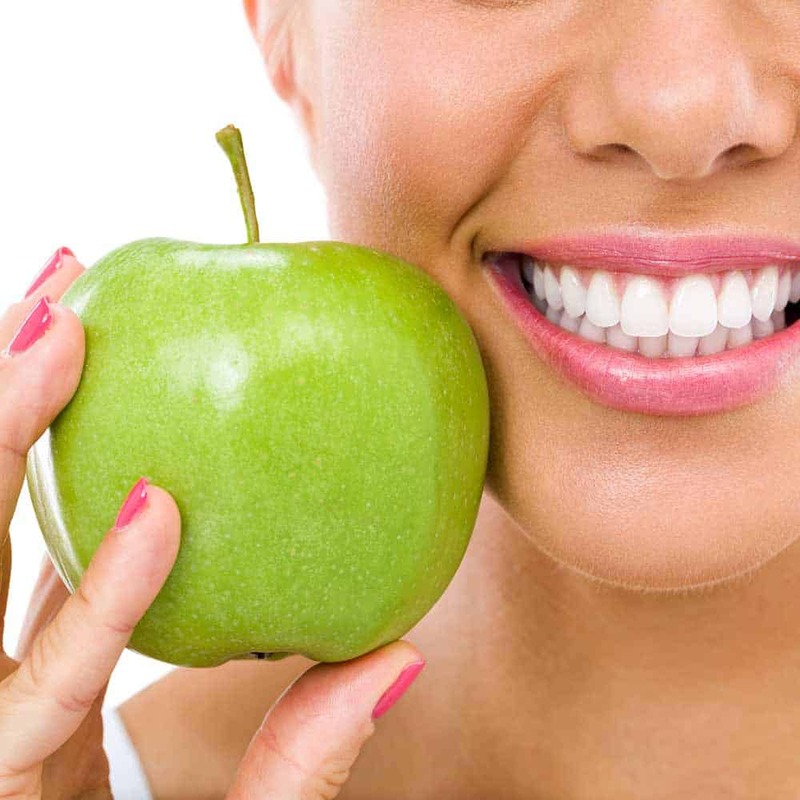 We are just a site dedicated to providing information online about dental health. 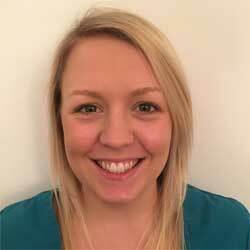 You will need to make contact with a dental practice within your local vicinity, who should be able to help. The cost will depend on the materials etc but you are looking at around £750-1000 ish as a rough ballpark figure. I have a blood clotting disorder and am on Long term anticoagulant therapy. I have had several pulmonary embolisms, and DVT’s and am not a surgical candidate to have what’s left of my terrible teeth removed. For many years my teeth have been deteriorating due to medication effect and Many of my teeth are broken off at the level of the gum line with only a few partial broken teeth remaining. Several oral surgeons have declined to remove the teeth and say I am not a candidate for implants because of my clinical status. Is there any option of creating a denture with an arch that could fit over the existing teeth so I have some symbolance of a normal looking mouth. It wasn’t so much of an issue when it was just back teeth but it is front teeth missing now . It is so embarrassing. Sorry to hear that your medical disorders are making things difficult for you. I would have thought most dental professionals would have suggested what options you have, even if they themselves have declined to treat you. What are the professionals, who have actually seen your teeth saying that you should do? Whilst it is technically possible to create a denture that goes over the teeth that have broken, consideration has to be made for the fit of the denture and the comfort for you as the wearer. The condition of your teeth sound like achieving this can be difficult. You also have the complication that if teeth are broken they are more at risk and placing a denture of some form could potentially make hings worse rather than better.